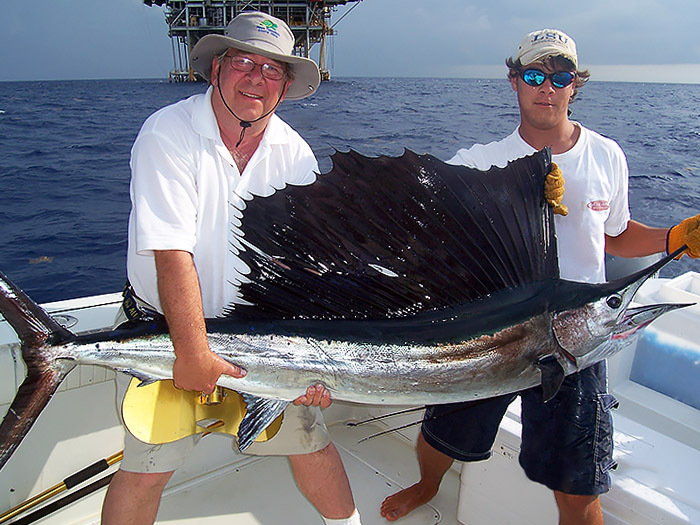 Sailfish — also called billfish — is a highly sought game fish by sports anglers around the world. They’re extremely fast and are known to be stealthy in the water. Their pointed bill and long dorsal fin makes them easy to identify from all the other billfish. If this is your dream fish species, let’s roll. Prized by many, but few claim victory. 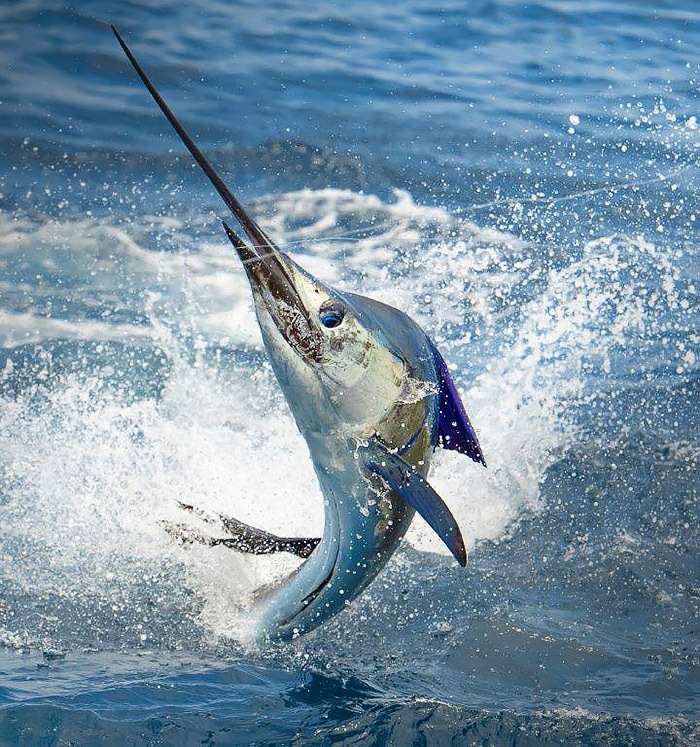 With sailfish, having an experienced team at your helm — along with a good measure of patience is key to the catch. Sailfish can be found nearshore or far offshore, but timing is everything. Dedicate a day to seeking out sailfish, and MGFC will help you come home with that experience you were looking for. 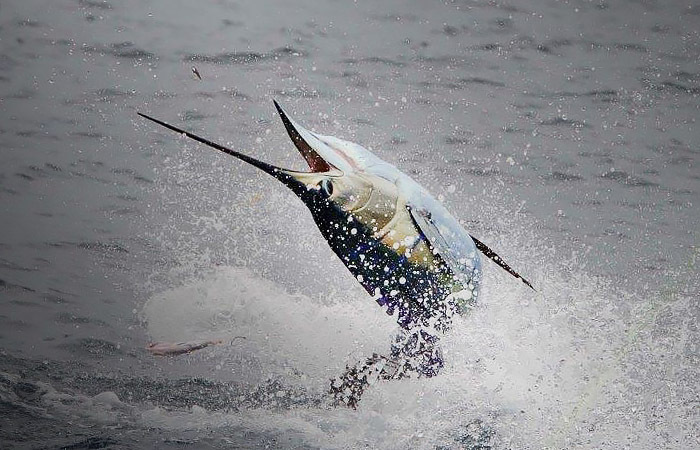 Sailfish run to an average of 30-60 pounds, with many coming in under 30 pounds. It is rare, but sometimes we land a few above 80 pounds. Louisiana record is 96 pounds. Sailfish are known for their fast runs, acrobatic jumps and head-shaking attempts to throw hooks. Sailfish tire easily and should be revived after a long fight to ensure their survival. Book a trip with MGFC now! 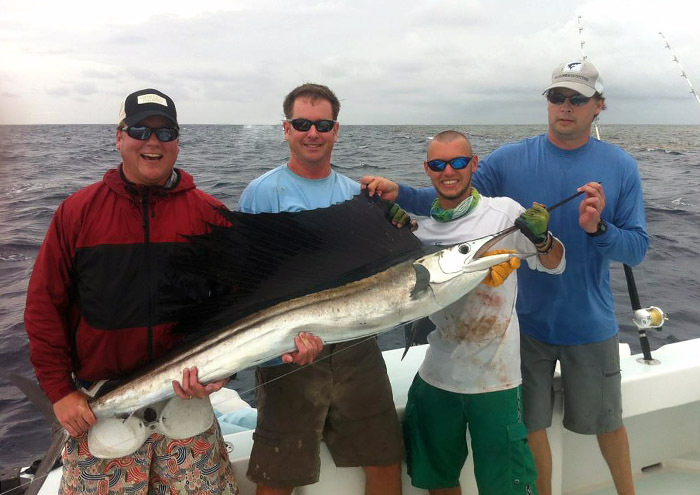 Whether you’re an experienced sailfish angler, or a first timer, give us a call. Let’s catch a sailfish off the Coast of Louisiana!